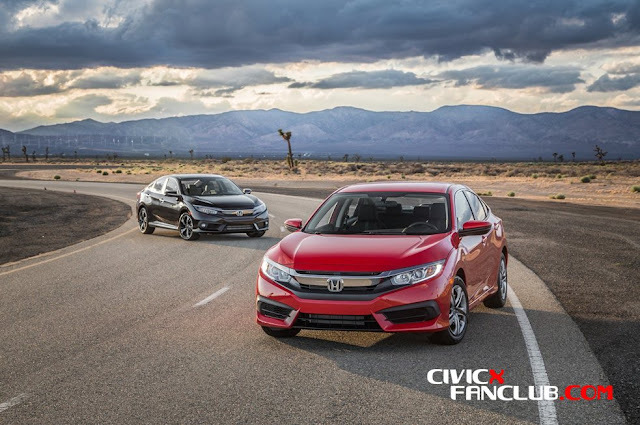 The launch of the new Honda Civic 10th generation after the 12 years in the Civic lineup is calling up for comparison between the sedan and the hatchback. 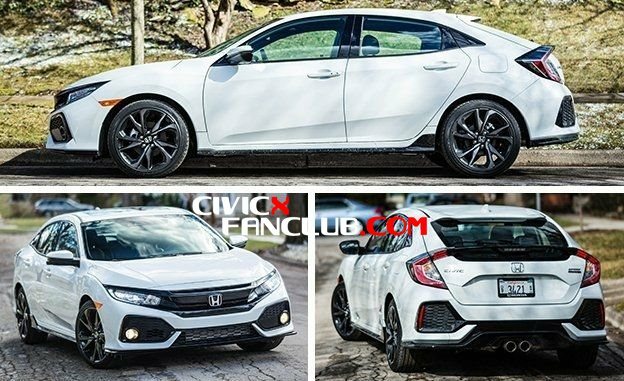 Although the 10th generation Civic Hatchback has a lot to offer, the sedan is not lagging behind. Both have got superior looks, excellent technology, and great safety levels. So what makes them different from each other? Want to know? Let’s have a closer look at the differences between the two to show the driving enthusiasts what they both have to offer. In a way, the major difference between the two models is right there in the middle of their names – the Hatchback and the Sedan. The hatchback, as the name implies has got the hatchback cargo area while the later one has the trunk. Both the cars have the same technology, but there are actually some more differences between the models distinguishing one from the other. Want to know the differences? Read on! When it comes to differences, the exterior and the design traits of both the models differ greatly from each other. As can be seen, Honda has given the hatchback a sportier look and styled it so while the sedan has got an upscale look, presenting a grown-up image. Honda Civic Sedan 2017 features a radical look with a couple like a roofline meeting the short trunk lid opening, offering an overall length of 182 inches. While on the other hand, the hatchback has similar roof line, but the window is attached to the hatchback where it finally meets the end of the vehicle. By imitating the trunk, the hatchback loses a total of 4 inches in its overall length of 178 inches. Aside from the hatch and the trunk, the details of both the cars are different too. With the sporty look, the hatchback has the edgy large black cut out areas intended to look like large vents while the sedan offers the chrome trim look with the glossy black elements. Now coming towards the interior, which is essentially the same from the front seat forward. That means a spacious, lathered and comfortable seating with versatile cabins highlighted. There is a slight difference between the legroom and headroom in both the models, but that’s really minor. The back seat of the hatchback has 0.3 inches of extra headroom with the legroom reduced to 1.4 inches. But that is not a big deal as both the cars can accommodate a full-sized adult comfortably leaving some extra space behind. The major difference, as mentioned above, lies in the cargo volumes. The sedan has a maximum cargo volume of 15.1 cubic feet, actually offering a very large volume for a compact sedan car. On the hand, the hatchback has got 46.2 cubic feet cargo cut, allowing the passengers and drivers to carry all they want. Moreover, the seating is, on average, five adult passengers, for both the models. Featuring 2.0-liter 4-cylinder engine, the Honda Civic Sedan produces 158 horsepower and 138 lb-ft of torque. Whereas the hatchback featuring 1.5-liter turbocharged 4-cylinder engine produces 174 horsepower and 162 lb-ft of torque(180 hp and 177 pounds-feet in the Sport and Sport Touring trims). 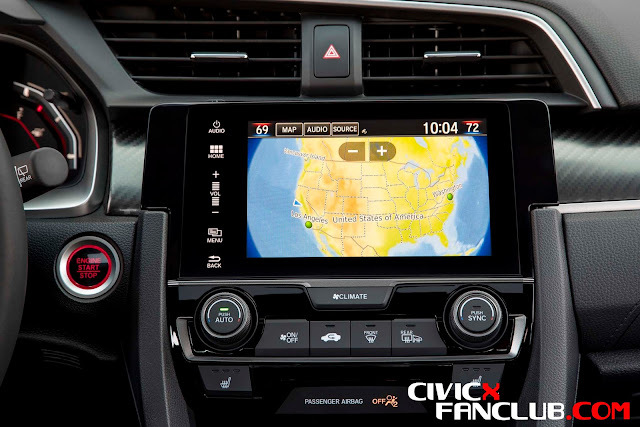 Besides the engine, the Honda Civic Hatchback also offers the different suspension tuning and slightly altered steering for a sportier and enhanced driving experience. Moreover, the standard Honda sensing package includes a forward collision warning, lane departure warning, adaptive cruise control and lane- keep assist for a safer and easier cruise. Although both the cars offer great fun to drive, but the sports car – Hatchback has got an edge over here. As sporty as it looks, the hatchback, with the swift steering wheel tuning, offers an alluring European driving feel. Moreover, the hatchback is more composed and agile on the roads comparatively offering positive vibes and fun drive but still, the sedan is not “bad” to drive. Noise levels seem the same for the both cars. When it comes to the standard security features, both the models come across the board. Well, regardless to say, Honda is always on the top of the list when you consider safety features. 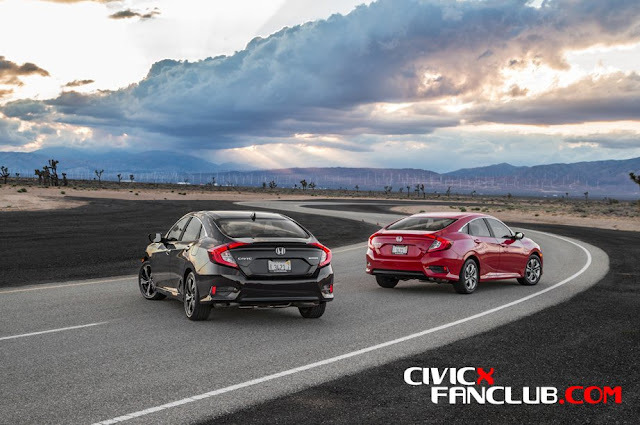 Both the models from the Honda Civic – Hatchback and Sedan have received the 5-star ratings in every crash-test category from the government. Since they both received the best rating in all the tests, you don’t need to panic. For a lot of shoppers, the price would definitely a major difference. The sedan is cheaper as compared to the hatchback and that makes an edge for Sedan over the hatch. The sedan will certainly save you a few bucks compared to the five-door as its cost starts from $18,740 ($16,390 in Canada). The hatchback’s premium price range from $19,700 to $20,500. You will have to pay a little more to keep the hatchback fed. So, if you are looking for a budget friendly model, the answer here is obvious that is Sedan. But if you are a sports car maniac and want a newer model, Civic X Hatchback is made for you. There are certainly more differences in both the models than their cargo areas. Which model you need right now would definitely be decided by the fact that whether you want a trunk or a hatch. But according to our comparison, the hatchback is a better option as compared to Sedan. The sports car has got better trims, extra power, superior looks and fine driving dynamics than the compact one. What do you think about these rivals? Do share your views in your comments below!